Mid-City Pharmacy is located in Historic Downtown Canton and has been a family owned pharmacy since 1964. We are an independent pharmacy where our number one priority is taking care of our patients and giving them the best quality healthcare possible. 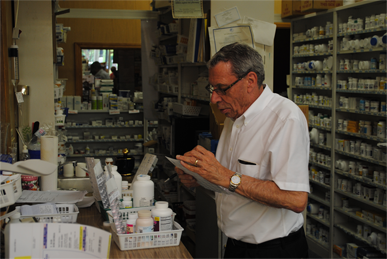 Current owner, Billy Cagle is a Canton native and has been practicing pharmacy for over 50 years.